This plant has a weeping habit, so it dangles about 2 feet over the sides of containers. 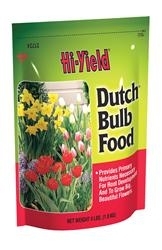 A great choice for small space gardens (where it can hang above the "ground" Tomatoes! ), urban balconies, and any other bright sunny setting, Tumbling Tom is well-branched, about 6 to 8 inches wide, and vigorously productive. 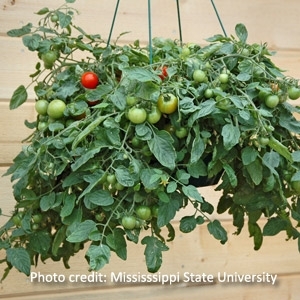 Plant 2 or 3 in a 10- or 12-inch basket and you'll be rolling in Tomatoes before you know it! 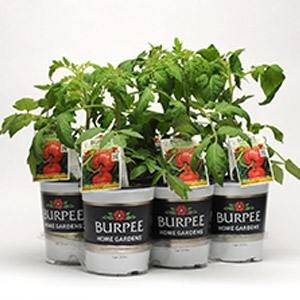 Burpee® grafts the top of an heirloom tomato with the bottom of a strong hybrid to create a lush plant with a harvest that’s 50% larger than usual. 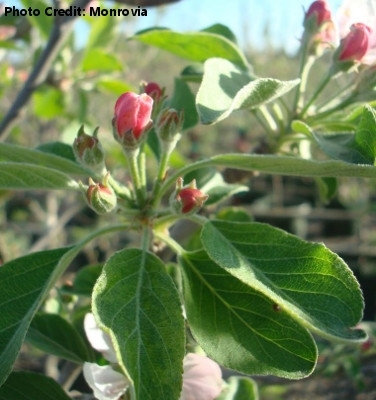 The rootstock is hearty and disease-resistant. 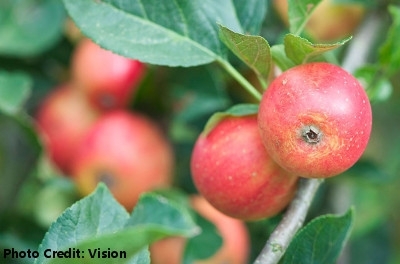 A wonderful New Zealand, red, dessert apple with a distinctive yellow blush. Showy clusters of lightly scented blush pink flowers in spring which produces edible fruit in autumn. 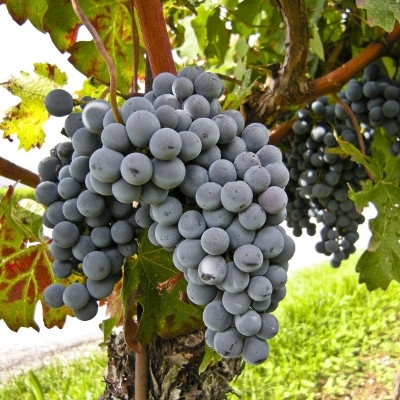 This early harvest variety requires a different selection of the same species growing nearby in order to set fruit. 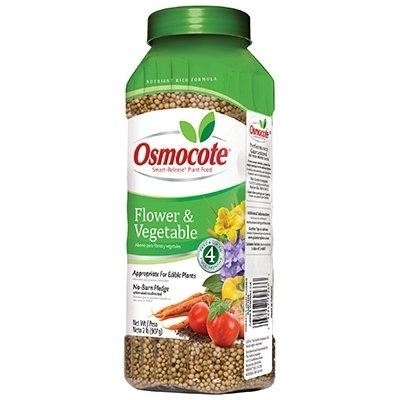 Good pollenizer for other varieties. Recommended chill: Less than 500 hours. The muscadine is a popular home crop across the South because of its natural adaptability, resistance to diseases and insects, and long vine life. Muscadine can be included in home plantings on fence-rows or homemade trellises. The fruit is used for unfermented juices, wines, jams, jellies, and pies.